The readers of my weekly Duty to Warn columns know that I often write about some of the concerns that I have regarding the once honorable medical profession that I called my own for 40 years. Actually, my major concerns haven’t been solely about physicians, but about the for-profit systems that have arisen since I was a medical student. Most of the med school friends that I knew seemed to be serious about their desire to do good in the world. 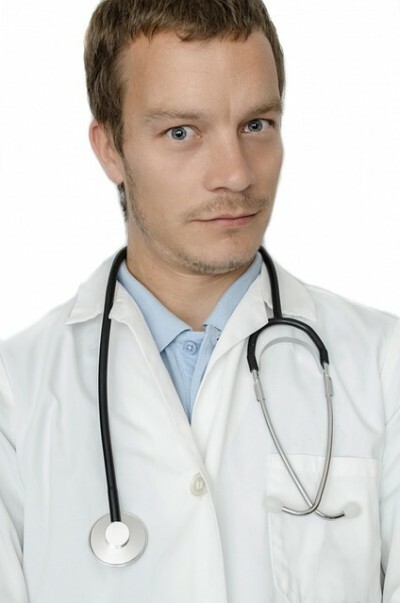 I sincerely believed that most of us took seriously the Hippocratic Oath (“first do no harm”) that we all swore to adhere to when we got our medical degrees. I was naively grateful to Eli Lilly and Company when the company gave us reflex hammers, stethoscopes and a doctor’s bag during our second-year clinical rotations. I still have them and, although the rubbery parts are getting pretty brittle now, the chrome plating is still shiny. Ever since 1989, there have been thousands of lawsuits (originating in every state of the union) that have been brought against Lilly just from its block buster (so-called “antidepressant” drug Prozac. Prozac received FDA approval for marketing in 1987 and it didn’t take long for surprised psychiatrists all over the world to start seeing dramatic increases in suicide attempts and suicidal thinking among the patients that they had naively recommended taking the new drug. One set of Prozac class action suits settled for $1.5 billion. To mention another example of Lilly’s dangerous drugs, in 2007 Lilly settled a class action lawsuit with 18,000 drug-injured patients because it had misrepresented the serious (and sometimes lethal) adverse effects of its next block buster drug, the major tranquilizer (aka “antipsychotic” drug) Zyprexa. The suit cost them a half a billion dollars, which is actually chump change for Big Pharma corporations like Lilly. More Zyprexa civil and criminal lawsuits are yet to come over the obesity, diabetes and heart problems that are caused by the drug. Lilly never took either drug off the market. I could go on for a long time, but it needs to be mentioned that currently there are hundreds, if not thousands, of lawsuits against Lilly because, in their product labeling, they mis-represented the incidence of what has come to be known as the Cymbalta Withdrawal Syndrome. Lilly claimed a 1% incidence of withdrawal symptoms whereas other studies found significant withdrawal symptoms in 40% – 50% of long-term Cymbalta users. I could go on and on with other data detailing Big Pharma’s malfeasance. Those three Lilly drugs mentioned were easy targets because a number of my patients had been harmed or hooked on them. But Lilly is not – sadly – atypical when it comes to lawsuits and legal damages. The large numbers mask the immensity of the suffering that isn’t outlined. I saw the damages first hand, but none of my patients ever found a lawyer who was willing to take their cases. For most of my career, I am proud to say that I have been suspicious of drug reps that came bearing gifts. I did listen to them and also ate an occasional lobster and steak dinner while enduring a short lecture from some drug company-affiliated academic physician who had been paid thousands of dollars (on an all-expenses paid tour) just to give a brief talk about a specific disorder or drug. It wasn’t hard to figure out what was the real message. These same drug reps would often show up at my clinic, “generously” bringing free pens, pizzas and post-it notes. Before they left, they would stock the drug sample room with colorful pills in little boxes that were to be given out free to my unaware (and often naively grateful) patients, thus saving them a little money at the start of their “treatment”, but with the high likelihood of their becoming dependent on the new, very expensive and potentially addictive drug, which would eventually cost her or her insurance company a ton of money. Little did I realize how cunning were the intentions of the pseudo-magnanimous Eli Lilly and Company (and all the other Big Pharma companies) that were obviously, in retrospect, trying to buy my loyalty so early in my career. Because I spent the last decade of my career providing holistic, non-drug, mental health care to patients (who sometimes identified themselves as “psychiatric survivors”), I became increasingly aware of the dark side of the psycho-pharmaceutical industry. In taking careful, time-consuming histories from my patients (who knew they were being sickened by their drugs), I learned that most of what had been previously diagnosed as a permanent “chronic mental illness” (of unknown cause but still “needing life-long medication”) was in fact just a temporary affliction that needed good counseling and a brain-healthy diet and not brain-altering, potentially addicting medications. I also learned that much of what had been wrongly diagnosed as a new mental illness diagnosis, a “worsening” or “relapse” after psychotropic drugs had been prematurely prescribed or whose dosing had suddenly changed were in fact adverse effects of the unnecessary drugs that had been prescribed in a trial-and-error fashion, in too large a dose, for too long a duration, in unapproved, untested combinations or causing a dangerous drug-withdrawal syndrome. Rather than suffering from mental illnesses “of unknown cause: virtually every one of my patients were actually suffering from identifiable emotional stresses “of known cause” (and therefore preventable and more easily treatable). My patients were actually undiagnosed victims of psychological trauma in childhood or adolescence, domestic abuse or the military, so I did a lot of teaching about the reality of posttraumatic stress disorder (PTSD) and how easy it is for health caregivers to make erroneous diagnoses of “mental illnesses of unknown etiology” if not enough time is taken in the initial interview. I also taught my patients and their concerned families about the physiology of the brain, the mechanisms of action of the various drugs and the molecular structures of the drugs that were sickening them. But the most time-consuming and difficult part of my practice was the process of helping them slowly taper down and hopefully eventually get off of their offending brain-altering medications. Success at drug withdrawal is difficult to predict because psychiatric drug-afflicted patients may have been on their medications for years or decades, in bewildering numbers of cocktail combinations (none FDA-approved or even tested for safety in the rat labs), and at various, potentially brain-damaging dosages. And most of my patients had become dependent/addicted to the offending drugs, so adverse withdrawal effects were often confusing but very common. My purpose here is not to try to outline the multitude of ways that patients can be helped to get off of their psych drugs, because each case was entirely different from one another and therefore each case had to be individualized. Any attempt to generalize getting through drug withdrawal syndromes is impossible, because there are so many variables that have to be evaluated. Among the many variables that need to be considered are age, gender, intrauterine (maternal) drug, alcohol or vaccine exposures, breast-feeding (or not), infant or childhood vaccine-induced neurological damage, history of family-rearing traumas that would include neglect or sexual, physical, emotional and spiritual traumas, physical health, prior and current drug use (illicit and prescription), past or current nutritional deficiencies, past or present toxic food ingestion, exposure to environmental toxins (pollutants in air, water, soil or food), history of head trauma, history of adolescent vaccine-induced brain damage, etc. Therefore it is impossible to describe how any given psychotropic drug-wounded, possibly addicted and/or mis-diagnosed psychiatric patient can be helped to reverse the damage, but I do feel it is my duty to warn as many people as I can so that they can become aware that there are alternatives to psychotropic drugs or electroshock. In summary, the major themes that I have dealt with in some of my columns have included: 1) the known dangers of the synthetic drugs that are commonly prescribed for often temporary (not permanent) emotional problems; 2) the serious, often life-threatening withdrawal syndromes that can result when these drugs are stopped or tapered down (thus indicating that the drugs were addictive); 3) information about brain nutrient therapy for brain-malnourished folks who may actually be neurologically-impaired and not simply mentally-impaired; 4) safer, non-toxic, non-drug alternative approaches to mental ill health; 5) information about the reality of combat and non-combat-induced psychological traumas (PTSD) as causative factors in mental ill health; and 6) the large variety of aspects of PTSD that have been mis-diagnosed as “mental illnesses of unknown origin”. My experience dealing with psychiatric survivors is rather unique. My writings were informed by my clinical experience at a mental institution full of drugged-up patients and as an independent holistic health care practitioner with over a thousand patients who had mental ill health issues. I’m also just one of a number of black-listed whistle-blowers world-wide who have been “crying in the wilderness”, with no money from Big Pharma sugar daddies who so arrange the mainstream media appearances of a host of well-paid, pro-drug, academic psychiatrists. There are no industry lobbyists or corporations that are interested in helping us whistle-blowers to refute – with good science to back up the message – the propaganda coming from the mega-corporations that are in the drug game primarily for their next quarter’s profit report and shareholder value, not to mention the reputation of their highly paid lobbyists, their ad agencies, their spokespersons and their spin doctors. American corporations have no legally enforceable obligation to work for the benefit of the patients who will be taking sub-lethal doses of their potentially very toxic products every day for the rest of their lives. And American vaccine makers are legally immune from prosecution for injury or death from their potentially neurotoxic vaccines; and brain damage from Big Pharma’s psych drugs are hard to prove in court, especially with the power of the company’s million dollar legal teams. As mentioned above, I took the Hippocratic Oath the day I received my medical degree, as did the honorable psychiatrist/authors Peter Breggin, Loren Mosher, Joseph Glenmullen, David Healy, Grace Jackson and any number of other courageous and altruistic whistle-blowing physicians who have regarded it as their sacred duty to warn unsuspecting others about the hidden dangers of synthetic prescription drugs that are contaminating the brains and bodies of hundreds of millions of unsuspecting humans. Courageous psychiatrists like those mentioned above also took their oath seriously, even though they were all risking the wrath of their employers and many of the members of their own profession. Each of these psychiatrists had their careers threatened for rocking the boat. It seemed that none of their good deeds went unpunished. George Orwell understood the whistleblower’s dilemma well when he said: “The further a society drifts from the truth, the more it will hate those that speak it.” And that is where the concept of cognitive dissonance comes in, being willfully blind or ignorant when being confronted by new truths. Considering the authors mentioned above and Orwell’s profound truth, I have been in good company. DISCLAIMER: Readers who are interested in reducing their psych drug use should consult their prescribing physician and not suddenly stop them. Stopping drugs suddenly can be more dangerous than starting them. They should consult a physician knowledgeable in neuroscience, brain nutrition and with experience in helping people safely discontinue psychiatric medications. For elaboration of some of the statements above, please search my video interviews on YouTube at: https://www.google.com/?gws_rd=ssl#q=YouTube+Gary+Kohls or read some of my pertinent past columns at the Duluth Reader website at: (http://duluthreader.com/articles/categories/200_Duty_to_Warn).